Toyota's subcompact Prius c five-door hatchback, the newest member of the Prius family of hybrid vehicles, is off to a quick start since going on sale March 12. In its first three days on the market, it sold 1,201 units, making it one Toyota's fastest-selling vehicles and eclipsing Chevrolet Volt and Nissan Leaf sales for the entire month of February. "A number of factors drive the auto market, and fuel prices is one of them," said Bob Carter, group vice president and general manager of the Toyota Division. 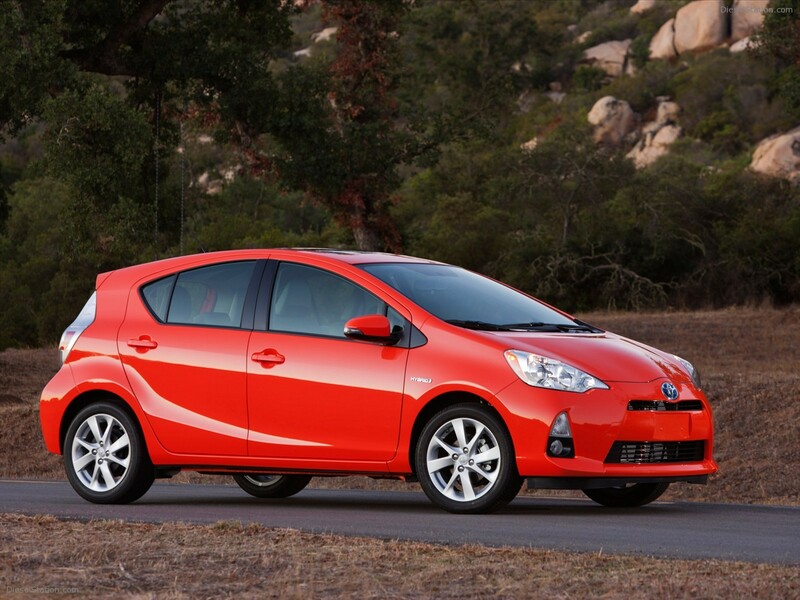 "With 53 miles-per-gallon in the city and priced under $19,000, the timing for Prius c couldn't be better." During the first half of March, the four-member Prius Family, including the new Prius c, roomy v, third-generation Liftback and new Plug-in Hybrid, accounted for sales of 9,821. Last month Prius sales totaled 20,593 and 32,593 year-to-date. Toyota wants to sell as many as 40,000 units this year of the subcompact Prius c. That would be double the best annual sales Tokyo-based Honda has had in the U.S. for its low-priced Insight hybrid.